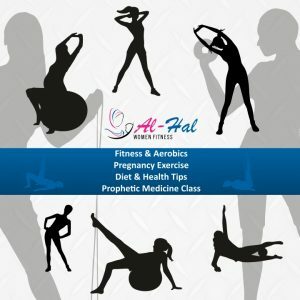 Alhal Women fitness is one of the initiatives of Ummah’s Galleria Limited (UG) to fill the big vacuum in our society of the lack of an adequate and private woman only gym. We are concerned about the Muslimah’s health & fitness, and we believe they need a well-structured, and organised fitness centre with adequate programs to meet their needs. This will provide them with the proper exercise they required to lose some weight, keep fit for their husband and get back to shape after childbirth, our fitness centre will also provide the privacy required by the deen. We are currently looking at creating a time slot for our men to use our facilities in order to keep them away from the fitness they are also exposed to in a mixed gym. In shaa Allaah, this will be announced soon. Ummah’s Galleria Limited (UG) is a one-stop platform for all Ethical Businesses, operating online and offline exploring various social media networks, and using our uniquely built platforms to bring different services & products closer to our customers. UG Library is a special division of Ummah’s Galleria Limited concern with providing the right Islamic Text for the Muslims Ummah at the most reasonable amount. We sell books from Darussalam Saudi Arabia and IIPH Saudi Arabic since 2012, in shaa Allaah we hope to partner with more publisher to get their books to the Muslims across the globe. Have you made any type of advert or sponsor a program or product on eNARRATE or enRADIO? enRADIO is offering a FREE 30minutes discussion session to SME, what do you think about this ? Will you like to advertise on eNARRATE Website and or enRADIO? We hope to reach more audience, your contribution is key to this. When 50 of your customers or clients / family subscribe freely on eNARRATE website you will earn another spot on our 30 minutes session to promote businesses, would you attempt this? Please, schedule an appointment for your business spot on the FREE 30minutes session on enRADIO. NB: The Show runs on Mondays, Wednesdays 5:30PM and Saturdays 11:00AM NIG TIME. Please, click the business name to view details.